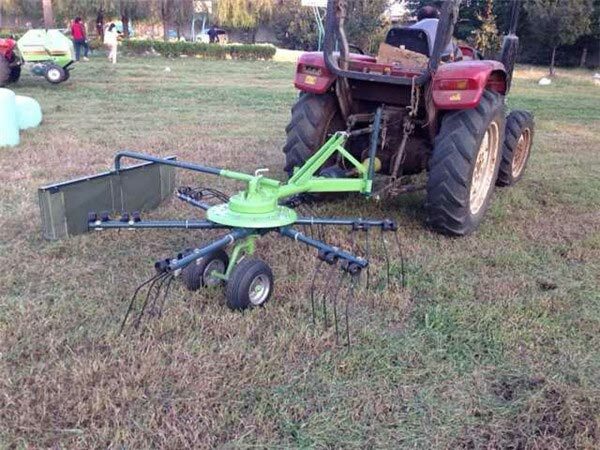 The PTO Rotary Rake is used as a tedder. It can spread and swath making the crops dry faster. 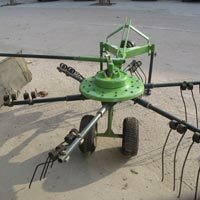 You can adjust your tedding operations to a variety of crops and conditions by varying the PTO speed or time positions. 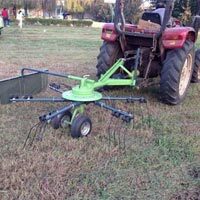 The Precise raking action is known to produce fluffy, uniform windrows without even lifting the machine. The product has a strong and rugged frame that provides reliable performance. This multifunction machine can be ordered from us at affordable rates. 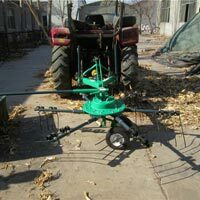 As a tedder - it can spread and flip the green-cut materials and withdraws, for drying evenly. 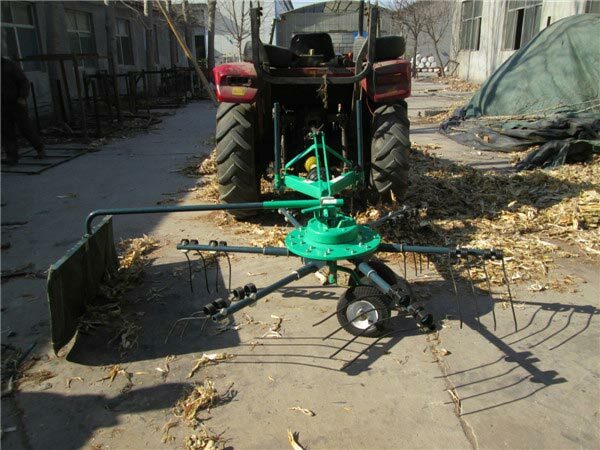 As a rake - it can collect teh dried materials into lines fro balers to pick up and pack them. Self-centering wheels provide external maneuverability by allowing you to make sharp turns and back up easily without lifting the machine. Strong, rugged frame provides years of dependable performance. Rotor tilt can be adjusted easily with a convenient crank for maximum crop handling. Torque limiting clutch on the heavy-duty PTO provides overload protection. PTO speed is variable, so you can match ground speed to crop and field conditions. 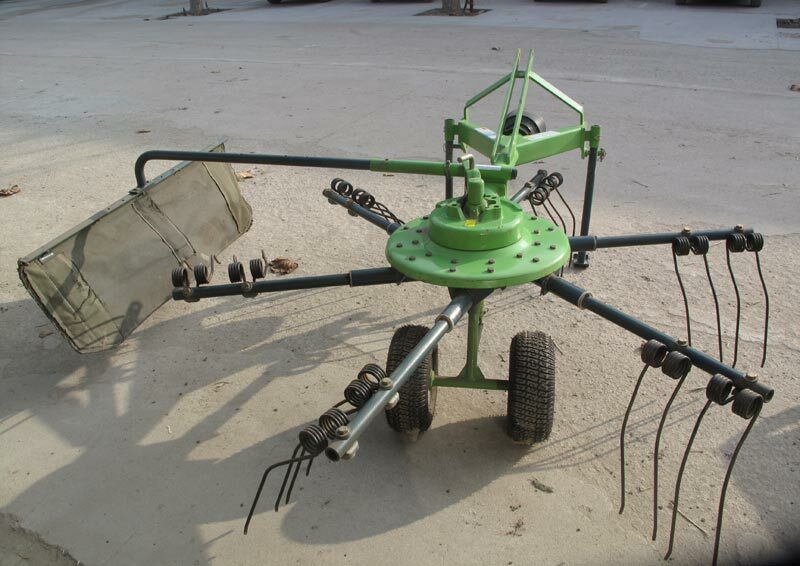 Three wheel-height position let you adjust for different crops, conditions and operations. Vertical tines pick up fewer stones and less debris than horizontal tines for cleaner tedding and raking. Cam track adjustment allows you to quickly tailor tedding/raking action to varying crops and conditions without tools. Convenient jack simplifies three-point hitch arrangements.